We accept referrals from Davinci and others-call us direct for better pricing! Corporate Offices Business Center is owner-operated on site with one clear mission – to help our clients achieve peak business performance. Located in Oak Brook, Illinois since 1983, we were the original executive suites innovators of business ready office space and virtual offices with flexible terms for companies both large and small. 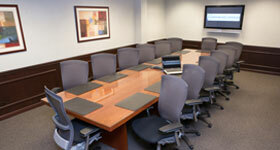 With six separate meeting and conference room configurations we can accommodate up to 30 people. Great care has been taken in developing and delivering cost-efficient office and meeting room packages that are as dynamic as our clients businesses. From a simple day office or for meetings on demand, we provide flexible and affordable options. Our highly-trained services team is readily available to support clients’ in bringing their business vision to fruition. Situated on the convenient West side of Oak Brook, our unique location provides straightforward access to all the major roads leading into and out of the city without the traffic hassles inherent near the shopping mall and high rise buildings. 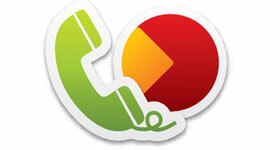 Contact us today for more information and to learn what differentiates our business center from the others. Choose the Office Plan That is Right for Your Business. Call Management creates a positive first impression over the phone and distinguishes your business from competitors who don’t personally relate to their clients. Corporate Offices is unique because we actively manage calls using a specialized configuration for each client’s needs. All offices are business ready and available on demand by the hour, day, week or full time. Fully furnished with plug and play technology means you can focus on your business immediately. We offer flexible lease terms, business equipment as needed and our on-demand support team at your disposal. Successful meetings start here. Corporate Offices Business Center offers six tasteful and professional options for your next meeting or high level presentation. Your guests will be greeted with a warm reception and each room provides secure wireless and wired high-speed internet. Rent us by the hour or by the day…it’s just that easy! Copyright © 2019 Corporate Offices Business Center, Inc.